Prior to statehood, the Llano Estacado, the great plains of northeastern New Mexico and northwestern Texas, were colonized by Hispanic ranchers. 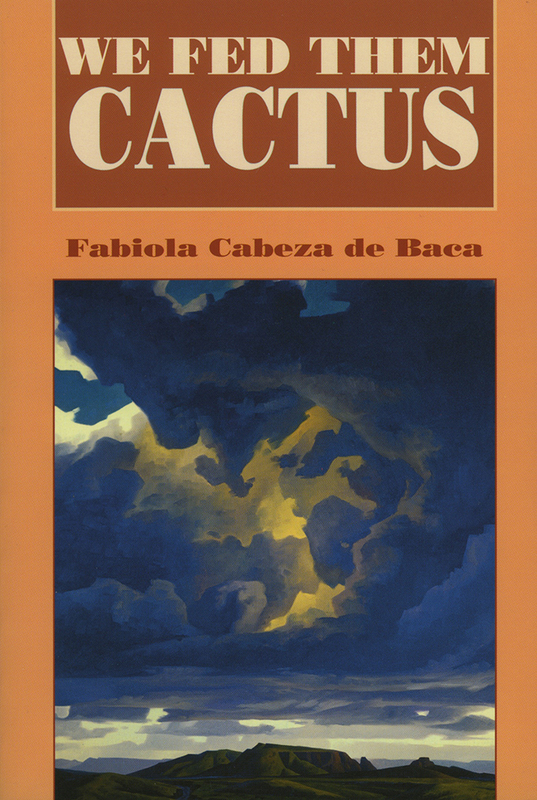 Cabeza de Baca's beloved memoir of the era has been reissued as part of the Pasó Por Aquí Series on Nuevomexicano Literature. A member of an old Hispanic family, Cabeza de Baca celebrates her Spanish heritage rather than the Mestizo culture embraced by later writers. She portrays the erosion of Hispanic folkways under American influence, but by recording a combination of oral narrative, autobiography, family history, recipes, and poetry, she has helped to preserve these unique expressions of Hispanic culture. Tey Diana Rebolledo is a professor of Spanish at the University of New Mexico, author of several books, and an authority on the contributions of women to the literary development of the Southwest.